Immanuel Kant was born in the East Prussian city of Königsberg, studied at its university, and worked there as a tutor and professor for more than forty years, never travelling more than fifty miles from home. Although his outward life was one of legendary calm and regularity, Kant’s intellectual work easily justified his own claim to have effected a Copernican revolution in philosophy. Beginning with his Inaugural Dissertation (1770) on the difference between right- and left-handed spatial orientations, Kant patiently worked out the most comprehensive and influential philosophical programme of the modern era. His central thesis—that the possibility of human knowledge presupposes the active participation of the human mind—is deceptively simple, but the details of its application are notoriously complex. The monumental Kritik der reinen Vernunft (Critique of Pure Reason) (1781, 1787) fully spells out the conditions for mathematical, scientific, and metaphysical knowledge in its “Transcendental Aesthetic,” “Transcendental Analytic,” and “Transcendental Dialectic,” but Kant found it helpful to offer a less technical exposition of the same themes in theProlegomena zu einer jeden künftigen Metaphysik die als Wissenschaft wird auftreten können (Prolegomena to any Future Metaphysic) (1783). Carefully distinguishing judgments as analytic or synthetic and as a priori or a posteriori, Kant held that the most interesting and useful varieties of human knowledge rely upon synthetic a priori judgments, which are, in turn, possible only when the mind determines the conditions of its own experience. Thus, it is we who impose the forms of space and time upon all possible sensation in mathematics, and it is we who render all experience coherent as scientific knowledge governed by traditional notions of substance and causality by applying the pure concepts of the understanding to all possible experience. But regulative principles of this sort hold only for the world as we know it, and since metaphysical propositions seek a truthbeyond all experience, they cannot be established within the bounds of reason. Significant applications of these principles are expressed in Metaphysische Anfangsgründe der Naturwissenschaft (Metaphysical Foundations of the Science of Nature) (1786) and Beantwortung der Frage: Ist es eine Erfahrung, daß wir denken? (On Comprehension and Transcendental Consciousness) (1788-1791). Kant’s moral philosophy is developed in the Grundlegung zur Metaphysik der Sitten (Grounding for the Metaphysics of Morals) (1785). From his analysis of the operation of the human will, Kant derived the necessity of a perfectly universalizable moral law, expressed in acategorical imperative that must be regarded as binding upon every agent. In the Third Section of the Grounding and in the Kritik der practischen Vernunft(Critique of Practical Reason) (1788), Kant grounded this conception of moral autonomy upon our postulation of god, freedom, and immortality. In later life, Kant drew art and science together under the concept of purpose in the Kritik der Urteilskraft (Critique of Judgment) (1790), considered the consequences of transcendental criticism for theology in Die Religion innerhalb die Grenzen der blossen Vernunft (Religion within the Limits of Reason Alone) (1793), stated the fundamental principles for civil discourse in Beantwortung der Frage: Was ist Aufklärung? (“What is Enlightenment?” (1784), and made an eloquent plea for international cooperation in Zum ewigen Frieden (Perpetual Peace) (1795). Next we turn to the philosophy of Immanuel Kant, a watershed figure who forever altered the course of philosophical thinking in the Western tradition. Long after his thorough indoctrination into the quasi-scholastic German appreciation of the metaphysical systems of Leibniz and Wolff, Kant said, it was a careful reading of David Hume that “interrupted my dogmatic slumbers and gave my investigations in the field of speculative philosophy a quite new direction.” Having appreciated the full force of such skeptical arguments, Kant supposed that the only adequate response would be a “Copernican Revolution” in philosophy, a recognition that the appearance of the external world depends in some measure upon the position and movement of its observers. This central idea became the basis for his life-long project of developing a critical philosophy that could withstand them. Kant’s aim was to move beyond the traditional dichotomy between rationalism and empiricism. The rationalists had tried to show that we can understand the world by careful use of reason; this guarantees the indubitability of our knowledge but leaves serious questions about its practical content. The empiricists, on the other hand, had argued that all of our knowledge must be firmly grounded in experience; practical content is thus secured, but it turns out that we can be certain of very little. Both approaches have failed, Kant supposed, because both are premised on the same mistaken assumption. Progress in philosophy, according to Kant, requires that we frame the epistemological problem in an entirely different way. The crucial question is not how we can bring ourselves to understand the world, but how the world comes to be understood by us. Instead of trying, by reason or experience, to make our concepts match the nature of objects, Kant held, we must allow the structure of our concepts shape our experience of objects. This is the purpose of Kant’s Critique of Pure Reason (1781, 1787): to show how reason determines the conditions under which experience and knowledge are possible. In the Prolegomena to any Future Metaphysic (1783) Kant presented the central themes of the first Critique in a somewhat different manner, starting from instances in which we do appear to have achieved knowledge and asking under what conditions each case becomes possible. So he began by carefully drawing a pair of crucial distinctions among the judgments we do actually make. The first distinction separates a priori from a posteriori judgments by reference to the origin of our knowledge of them. A priori judgments are based upon reason alone, independently of all sensory experience, and therefore apply with strict universality. A posteriori judgments, on the other hand, must be grounded upon experience and are consequently limited and uncertain in their application to specific cases. Thus, this distinction also marks the difference traditionally noted in logic between necessary and contingent truths. But Kant also made a less familiar distinction between analytic and syntheticjudgments, according to the information conveyed as their content. Analyticjudgments are those whose predicates are wholly contained in their subjects; since they add nothing to our concept of the subject, such judgments are purely explicative and can be deduced from the principle of non-contradiction.Synthetic judgments, on the other hand, are those whose predicates are wholly distinct from their subjects, to which they must be shown to relate because of some real connection external to the concepts themselves. Hence, synthetic judgments are genuinely informative but require justification by reference to some outside principle. Analytic a posteriori judgments cannot arise, since there is never any need to appeal to experience in support of a purely explicative assertion. Synthetic a posteriori judgments are the relatively uncontroversial matters of fact we come to know by means of our sensory experience (though Wolff had tried to derive even these from the principle of contradiction). Analytic a priori judgments, everyone agrees, include all merely logical truths and straightforward matters of definition; they are necessarily true. Synthetic a priori judgments are the crucial case, since only they could provide new information that is necessarily true. But neither Leibniz nor Hume considered the possibility of any such case. Unlike his predecessors, Kant maintained that synthetic a priori judgments not only are possible but actually provide the basis for significant portions of human knowledge. In fact, he supposed (pace Hume) that arithmetic and geometry comprise such judgments and that natural science depends on them for its power to explain and predict events. What is more, metaphysics—if it turns out to be possible at all—must rest upon synthetic a priori judgments, since anything else would be either uninformative or unjustifiable. But how are synthetic a priori judgments possible at all? This is the central question Kant sought to answer. Consider, for example, our knowledge that two plus three is equal to five and that the interior angles of any triangle add up to a straight line. These (and similar) truths of mathematics are synthetic judgments, Kant held, since they contribute significantly to our knowledge of the world; the sum of the interior angles is not contained in the concept of a triangle. Yet, clearly, such truths are known a priori, since they apply with strict and universal necessity to all of the objects of our experience, without having been derived from that experience itself. In these instances, Kant supposed, no one will ask whether or not we have synthetic a priori knowledge; plainly, we do. The question is, how do we come to have such knowledge? 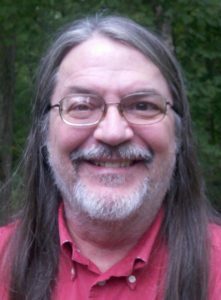 If experience does not supply the required connection between the concepts involved, what does? Kant’s answer is that we do it ourselves. Conformity with the truths of mathematics is a precondition that we impose upon every possible object of our experience. Just as Descartes had noted in the Fifth Meditation, the essence of bodies is manifested to us in Euclidean solid geometry, which determines a priori the structure of the spatial world we experience. In order to be perceived by us, any object must be regarded as being uniquely located in space and time, so it is the spatio-temporal framework itself that provides the missing connection between the concept of the triangle and that of the sum of its angles. Space and time, Kant argued in the “Transcendental Aesthetic” of the first Critique, are the “pure forms of sensible intuition” under which we perceive what we do. Understanding mathematics in this way makes it possible to rise above an old controversy between rationalists and empiricists regarding the very nature of space and time. Leibniz had maintained that space and time are not intrinsic features of the world itself, but merely a product of our minds. Newton, on the other hand, had insisted that space and time are absolute, not merely a set of spatial and temporal relations. Kant now declares that both of them were correct! Space and time are absolute, and they do derive from our minds. As synthetic a priori judgments, the truths of mathematics are both informative and necessary. This is our first instance of a transcendental argument, Kant’s method of reasoning from the fact that we have knowledge of a particular sort to the conclusion that all of the logical presuppositions of such knowledge must be satisfied. We will see additional examples in later lessons, and can defer our assessment of them until then. But notice that there is a price to be paid for the certainty we achieve in this manner. Since mathematics derives from our own sensible intuition, we can be absolutely sure that it must apply to everything we perceive, but for the same reason we can have no assurance that it has anything to do with the way things are apart from our perception of them. Next time, we’ll look at Kant’s very similar treatment of the synthetic a priori principles upon which our knowledge of natural science depends. In natural science no less than in mathematics, Kant held, synthetic a priorijudgments provide the necessary foundations for human knowledge. The most general laws of nature, like the truths of mathematics, cannot be justified by experience, yet must apply to it universally. In this case, the negative portion of Hume’s analysis—his demonstration that matters of fact rest upon an unjustifiable belief that there is a necessary connection between causes and their effects—was entirely correct. But of course Kant’s more constructive approach is to offer a transcendental argument from the fact that we do have knowledge of the natural world to the truth of synthetic a priori propositions about the structure of our experience of it. First, it must be possible in principle to arrange and organize the chaos of our many individual sensory images by tracing the connections that hold among them. This Kant called the synthetic unity of the sensory manifold. Second, it must be possible in principle for a single subject to perform this organization by discovering the connections among perceived images. This is satisfied by what Kant called the transcendental unity of apperception. Experiential knowledge is thinkable only if there is some regularity in what is known and there is some knower in whom that regularity can be represented. Since we do actually have knowledge of the world as we experience it, Kant held, both of these conditions must in fact obtain. Since (as Hume had noted) individual images are perfectly separable as they occur within the sensory manifold, connections between them can be drawn only by the knowing subject, in which the principles of connection are to be found. As in mathematics, so in science the synthetic a priori judgments must derive from the structure of the understanding itself. Consider, then, the sorts of judgments distinguished by logicians (in Kant’s day): each of them has some quantity (applying to all things, some, or only one); some quality (affirmative, negative, or complementary); some relation (absolute, conditional, or alternative); and some modality (problematic, assertoric, or apodeictic). Kant supposed that any intelligible thought can be expressed in judgments of these sorts. But then it follows that any thinkable experience must be understood in these ways, and we are justified in projecting this entire way of thinking outside ourselves, as the inevitable structure of any possible experience. Our most fundamental convictions about the natural world derive from these concepts, according to Kant. The most general principles of natural science are not empirical generalizations from what we have experienced, but synthetic a priori judgments about what we could experience, in which these concepts provide the crucial connectives. So Kant maintained that we are justified in applying the concepts of the understanding to the world as we know it by making a priori determinations of the nature of any possible experience. In order to see how this works in greater detail, let’s concentrate on the concepts of relation, which govern how we understand the world in time. As applied in the Analogies of Experience, each concept of relation establishes one of the preconditions of experience under one of the modes of time: duration, succession, and simultaneity. 1. Substance: The experience of any change requires not only the perception of the altered qualities that constitute the change but also the concept of an underlying substance which persists through this alteration. (E.g., in order to know by experience that the classroom wall has changed in color from blue to yellow, I must not only perceive the different colors—blue then, yellow now—but also suppose that the wall itself has endured from then until now.) Thus, Kant supposed that the philosophical concept of substance (reflected in the scientific assumption of an external world of material objects) is an a prioricondition for our experience. 2. Cause: What is more, the experience of events requires not only awareness of their intrinsic features but also that they be regarded as occurring one after another, in an invariable regularity determined by the concept of causality. (E.g., in order to experience the flowering of this azalea as an event, I must not only perceive the blossoms as they now appear but must also regard them as merely the present consequence of a succession of prior organic developments.) Thus, Kant responded to Hume’s skepticism by maintaining that the concept of cause is one of the synthetic conditions we determine for ourselves prior to all experience. 3. Community: Finally, the experience of a world of coexisting things requires not only the experiences of each individually but also the presumption of their mutual interaction. (E.g., in order believe that the Sun, Earth, and Moon coexist in a common solar system, I must not only make some estimate of the mass of each but must also take into account the reciprocity of the gravitational forces between them.) Thus, on Kant’s view, the notion of the natural world as a closed system of reciprocal forces is another a priori condition for the intelligibility of experience. Having seen Kant’s transcendental deduction of the categories as pure concepts of the understanding applicable a priori to every possible experience, we might naturally wish to ask the further question whether these regulative principles are really true. Are there substances? Does every event have a cause? Do all things interact? Given that we must suppose them in order to have any experience, do they obtain in the world itself? To these further questions, Kant firmly refused to offer any answer. Thus, on Kant’s view, the most fundamental laws of nature, like the truths of mathematics, are knowable precisely because they make no effort to describe the world as it really is but rather prescribe the structure of the world as we experience it. By applying the pure forms of sensible intuition and the pure concepts of the understanding, we achieve a systematic view of the phenomenal realm but learn nothing of the noumenal realm. Math and science are certainly true of the phenomena; only metaphysics claims to instruct us about the noumena. Metaphysical speculation properly begins with the same method as the “Aesthetic” and “Analytic,” Kant supposed, but it invariably ends up in a “Dialectic.” The transcendental arguments we employ in metaphysics need not restrict their determination to the phenomenal realm alone, since their aim is genuine knowledge of the noumena. Synthetic a priori judgments in metaphysics must be grounded upon truly transcendental ideas, which are regarded as applicable to things in themselves independently of our experience of them. Kant’s exposition of the transcendental ideas begins once again from the logical distinction among categorical, hypothetical, and disjunctive syllogisms. From this distinction, as we have seen, the understanding derives the concepts of substance, cause, and community, which provide the basis for rules that obtain as natural laws within our experience. Now, from the same distinction, the reason must carry things further in order derive the transcendental ideas of the complete subject, the complete series of conditions, and the complete complex of what is possible. Thus, the “completion” of metaphysical reasoning requires transcendental ideas of three sorts, but Kant argued that each leads to its characteristic irresolvable difficulty. The Psychological Idea is the concept of the soul as a permanent substance which lives forever. It is entirely natural to reason (as in Descartes’s cogito) from knowledge that “I think” to my real existence as one and the same thinking thing through all time, but Kant held that our efforts to reach such conclusions are “Paralogisms,” with only illusory validity. It is true that thought presupposes the unity of apperception and that every change presupposes an underlying substance, but these rules apply only to the phenomena we experience. Since substantial unity and immortality are supposed to be noumenal features of the soul as a thing in itself, Kant held, legitimate a priorijudgments can never prove them, and the effort to transcend in this case fails. The Cosmological Idea is the concept of a complete determination of the nature of the world as it must be constituted in itself. In this case, Kant held, the difficulty is not that we can conclude too little but rather that we can prove too much. From the structure of our experience of the world, it is easy to deduce contradictory particular claims about reality: finitude vs. infinity; simplicity vs. complexity; freedom vs. determinism; necessity vs. contingency. These “Antinomies” of Pure Reason can be avoided only when we recognize that one or both of the contradictory proofs in each antinomy holds only for the phenomenal realm. Once again, it is the effort to achieve transcendental knowledge of noumena that necessarily fails. The Theological Idea is the concept of an absolutely perfect and most real being (or god). Again it is natural to move from our recognition of dependence within the phenomenal realm to the notion of a perfectly independent noumenal being, the “Transcendental Ideal.” But traditional attempts to prove that god really exists, founded as they are on what we experience, cannot establish the reality of a being necessarily beyond all experience. Now that we’ve seen Kant’s answers to all three parts of the Prolegomena’s “Main Transcendental Question” and have traced their sources in the Critique of Pure Reason, we are in a position to appreciate his careful delineation of what is possible in metaphysical thought and what is not. What most clearly is not possible is any legitimate synthetic a priorijudgment about things in themselves. The only thing that justifies the application of regulative principles in mathematics and natural science is their limitation to phenomena. Both sensible intuition and the understanding deal with the conditions under which experience is possible. But the whole point of speculative metaphysics is to transcend experience entirely in order to achieve knowledge of the noumenal realm. Here, only the faculty of reason is relevant, but its most crucial speculative conclusions, its deepest convictions about the self, the world, and god, are all drawn illegitimately. What is possible—indeed, according to Kant what we are bound by our very nature as rational beings to do—is to think of the noumenal realm as if the speculative principles were true (whether or not they are). By the nature of reason itself, we are required to suppose our own existence as substantial beings, the possibility of our free action in a world of causal regularity, and the existence of god. The absence of any formal justification for these notions makes it impossible for us to claim that we know them to be true, but it can in no way diminish the depth fo our belief that they are. The only legitimate, “scientific” metaphysics that the future may hold, Kant therefore held, would be a thoroughly critical, non-speculative examination of the bounds of pure reason, a careful description of what we can know accompanied by a clear recognition that our transcendental concepts (however useful they may seem) are entirely unreliable as guides to the nature of reality. It is this task, of course, that Kant himself had pursued in the First Critique. 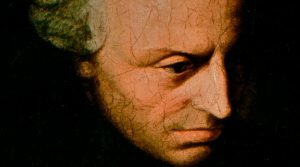 Having mastered epistemology and metaphysics, Kant believed that a rigorous application of the same methods of reasoning would yield an equal success in dealing with the problems of moral philosophy. Thus, in the Kritik der practischen Vernunft (Critique of Practical Reason) (1788), he proposed a “Table of the Categories of Freedom in Relation to the Concepts of Good and Evil,” using the familiar logical distinctions as the basis for a catalog of synthetic a priori judgments that have bearing on the evaluation of human action, and declared that only two things inspire genuine awe: “der bestirnte Himmel über mir und das moralische Gesetz in mir” (“the starry sky above and the moral law within”). Kant used ordinary moral notions as the foundation ffor a derivation of this moral law in his Grundlegung zur Metaphysik der Sitten(Grounding for the Metaphysics of Morals) (1785). According to Kant, then, the ultimate principle of morality must be a moral law conceived so abstractly that it is capable of guiding us to the right action in application to every possible set of circumstances. So the only relevant feature of the moral law is its generality, the fact that it has the formal property ofuniversalizability, by virtue of which it can be applied at all times to every moral agent. From this chain of reasoning about our ordinary moral concepts, Kant derived as a preliminary statement of moral obligation the notion that right actions are those that practical reason would will as universal law. More accurate comprehension of morality, of course, requires the introduction of a more precise philosophical vocabulary. Although everything naturally acts in accordance with law, Kant supposed, only rational beings do so consciously, in obedience to the objective principles determined by practical reason. Of course, human agents also have subjective impulses—desires and inclinations that may contradict the dictates of reason. So we experience the claim of reason as an obligation, a command that we act in a particular way, or an imperative. Such imperatives may occur in either of two distinct forms,hypothetical or categorical. A hypothetical imperative conditionally demands performance of an action for the sake of some other end or purpose; it has the form “Do A in order to achieve X.” The application of hypothetical imperatives to ethical decisions is mildly troublesome: in such cases it is clear that we are morally obliged to perform the action A only if we are sure both that X is a legitimate goal andthat doing A will in fact produce this desirable result. For a perfectly rational being, all of this would be analytic, but given the general limitations of human knowledge, the joint conditions may rarely be satisfied. A categorical imperative, on the other hand, unconditionally demands performance of an action for its own sake; it has the form “Do A.” An absolute moral demand of this sort gives rise to familiar difficulties: since it expresses moral obligation with the perfect necessity that would directly bind any will uncluttered by subjective inclinations, the categorical imperative must be known a priori; yet it cannot be an analytic judgment, since its content is not contained in the concept of a rational agent as such. The supreme principle of morality must be a synthetic a priori proposition. Leaving its justification for the third section of the Grounding (and the Second Critique), Kant proceeded to a discussion of the content and application of the categorical impetative. Constrained only by the principle of universalizability, the practical reason of any rational being understands the categorical imperative to be: “Act only according to that maxim whereby you can at the same time will that it should become a universal law.” That is, each individual agent regards itself as determining, by its decision to act in a certain way, that everyone (including itself) will always act according to the same general rule in the future. This expression of the moral law, Kant maintained, provides a concrete, practical method for evaluating particular human actions of several distinct varieties. On the other hand, consider the less obvious case (#4 in the text) of someone who lives comfortably but contemplates refusing any assistance to people who are struggling under great hardships. The maxim here would be that it is permissible never to help those who are less well-off than ourselves. Although Kant conceded that no direct contradiction would result from the universalization of such a rule of conduct, he argued that no one could consistently will that it become the universal law, since even the most fortunate among us rightly allow for the possibility that we may at some future time find ourselves in need of the benevolence of others. Here we have only an imperfect duty not act so selfishly, since particular instances may require exceptions to the rule when it conflicts either with another imperfect duty (e.g., when I don’t have enough money to help everyone in need) or a perfect duty (e.g., if the only way to get more money would be under a false promise). Kant also supposed that moral obligations arise even when other people are not involved. Since it would be contradictory to universalize the maxim of taking one’s own life if it promises more misery than satisfaction (#1), he argued, we have a perfect duty to ourselves not to commit suicide. And since no one would will a universalized maxim of neglecting to develop the discipline required for fulfilling one’s natural abilities (#3), we have an imperfect duty to ourselves not to waste our talents. These are only examples of what a detailed application of the moral law would entail, but they illustrate the general drift of Kant’s moral theory. In cases of each of the four sorts, he held that there is a contradiction—either in the maxim itself or in the will—involved in any attempt to make the rule under which we act into a universal law. The essence of immorality, then, is to make an exception of myself by acting on maxims that I cannot willfully universalize. It is always wrong to act in one way while wishing that everyone else would act otherwise. (The perfect world for a thief would be one in which everyone else always respected private property.) Thus, the purely formal expression of the categorical imperative is shown to yield significant practical application to moral decisions. Although he held that there is only one categorical imperative of morality, Kant found it helpful to express it in several ways. Some of the alternative statements can be regarded as minor variations on his major themes, but two differ from the “formula of universal law” sufficiently to warrant a brief independent discussion. Kant offered the “formula of the end in itself” as: “Act in such a way that you treat humanity, whether in your own person or in the person of another, always at the same time as an end and never simply as a means.” This places more emphasis on the unique value of human life as deserving of our ultimate moral respect and thus proposes a more personal view of morality. In application to particular cases, of course, it yields the same results: violating a perfect duty by making a false promise (or killing myself) would be to treat another person (or myself) merely as a means for getting money (or avoiding pain), and violating an imperfect duty by refusing to offer benevolence (or neglecting my talents) would be a failure to treat another person (or myself) as an end in itself. Thus, the Kantian imperative agrees with the Christian expression of “The Golden Rule” by demanding that we derive from our own self-interest a generalized concern for all human beings. In this final formulation, the similarity of Kant’s moral theory with his epistemology should be clear. Just as the understanding in each of us determines the regulative principles of natural science that all must share, so the practical reason in each of us determines the universal maxims of morality that all must obey. An autonomous will, on the other hand, is entirely self-legislating: The moral obligations by which it is perfectly bound are those which it has imposed upon itself while simultaneously regarding them as binding upon everyone else by virtue of their common possession of the same rational faculties. All genuinely moral action, Kant supposed, flows from the freely chosen dictates of an autonomous will. So even the possibility of morality presupposes that human agents have free will, and the final section of the Grounding is devoted to Kant’s effort to prove that they do. Here’s another way of looking at it: Each case of moral action may be said to embody its own unique instance of the antinomy between freedom and causal determination. For in order to do the right thing, it must at least be possible for my action to have some real effect in the world, yet I must perform it in complete independence from any external influence. Morality requires both freedom and causality in me, and of course Kant supposes that they are. I can think of myself from two standpoints: I operate within the phenomenal realm by participating fully in the causal regularities to which it is subject; but as a timeless thing in itself in the noumenal realm I must be wholly free. The trick is to think of myself in both ways at once, as sensibly determined but intelligibly free. Although the truth about ourselves and god as noumenal beings can never be determined with perfect certainty, on Kant’s view, we can continue to function as responsible moral agents only by acting as if it obtains. Things could hardly have been otherwise: the lofty dignity of the moral law, like the ultimate nature of reality, is the sort of thing we cannot know but are bound to believe. Kant’s interest in moral matters was not exclusively theoretical. In Die Metaphysik der Sitten (Metaphysics of Morals) (1797) he worked out the practical application of the categorical imperative in some detail, deriving a fairly comprehensive catalog of specific rules for the governance of social and personal morality. What each of us must actually will as universal, Kant supposed, is a very rigid system of narrowly prescribed conduct. The final component of Kant’s critical philosophy found expression in his (Kritik der Urteilskraft (Critique of Judgment)1790). Where the first Critiquehad dealt with understanding in relation to reality and the second had been concerned with practical reason in relation to action, this third Critique was meant to show that there is a systematic connection between the two, a common feature underlying every use of synthetic a priori judgments, namely the concept of purpose. In the last analysis, Kant supposed, it is our compulsion to find meaning and purpose in the world that impels us to accept the tenets of transcendental idealism. Kant’s final word here offers an explanation of our persistent desire to transcend from the phenomenal realm to the noumenal. We must impose the forms of space and time on all we perceive, we must suppose that the world we experience functions according to natural laws, we must regulate our conduct by reference to a self-legislated categorical imperative, and we must postulate the noumenal reality of ourselves, god, and free will—all because a failure to do so would be an implicit confession that the world may be meaningless, and that would be utterly intolerable for us. Thus, Kant believed, the ultimate worth of his philosophy lay in his willingness “to criticize reason in order to make room for faith.” The nineteenth-century German philosophers who followed him quickly moved to transform his modest critical philosophy into the monumental metaphysical system of absolute idealism.